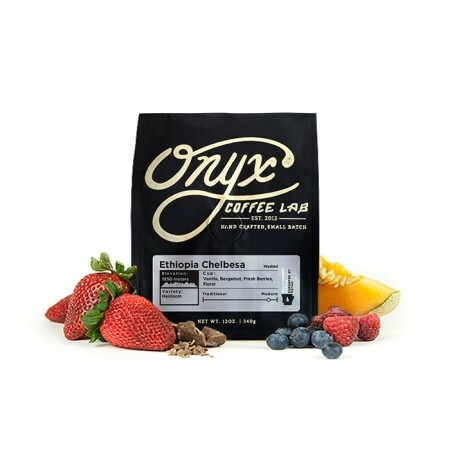 The Ethiopia Chelbesa was carefully roasted for you by Onyx Coffee Lab. This fully washed coffee was sourced from the growing region of Gedeb in Ethiopia and was produced by the Chelbesa Washing Station at 1,950 meters. The cup has an incredible bergamot floral quality with notes of black tea, fresh berries and vanilla bean. It may have been the way we were brewing (still trying to find right combination of grind size, brew time, etc) but we couldn't get much out of this coffee. It was very disappointing but like I said, it may have been us not brewing it correctly. Only tried v60. This one fell flat for me. I was hoping for more berry notes and complexity. It's possible I was just unable to dial it in but it wasn't for lack of trying. It smelled great but those same aroma notes didn't appear in the flavor for me. It was really good! Very bright & enjoyable coffee. Wow! Delicate, subtle, difficult to characterize. Absolutely love the black tea notes on the finish. I am a huge fan of Onyx's Ethiopia naturals, so to taste this fully-washed roast was a complete departure from my expectations. Highly recommend! Onyx knows how to roast. You can't go wrong with anything you get from them. They got the light roast down!